Smoke On Records presents this great release and collector’s gem. 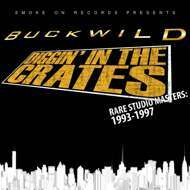 Just get ready for Buckwild’s “Diggin In The Crates: Rare Studio Masters 1993-1997” pressed on Gold colored vinyl! Don’t sleep on this one! !